Great item, excellent price very quick service!!!! Lovely looking watch fully loaded with features, perfect for holiday and outdoor usage. Bought as a present for sons 13th birthday - hes v happy. Just the job! Great watch bought for my son to use for a ski season, he loves it. Lovely looking, strong but light watch. Can be used for everyday hard work but still looks good and different from the usual black watches. Its a nice size, not to small on my big wrist and hand! But compact enough not to be a hindrance. 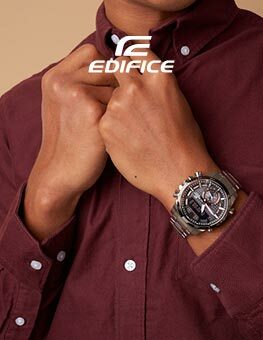 I think the watch was excellent it looks smart and proforms pefectly. Ill be. Buying from watch shop again in the future for myself and to get family things. The watch is amazing, excelent condition, very very fast delivery and very good customer service. Glad to buy from you. I bought this as a gift for my teenage son for Christmas. 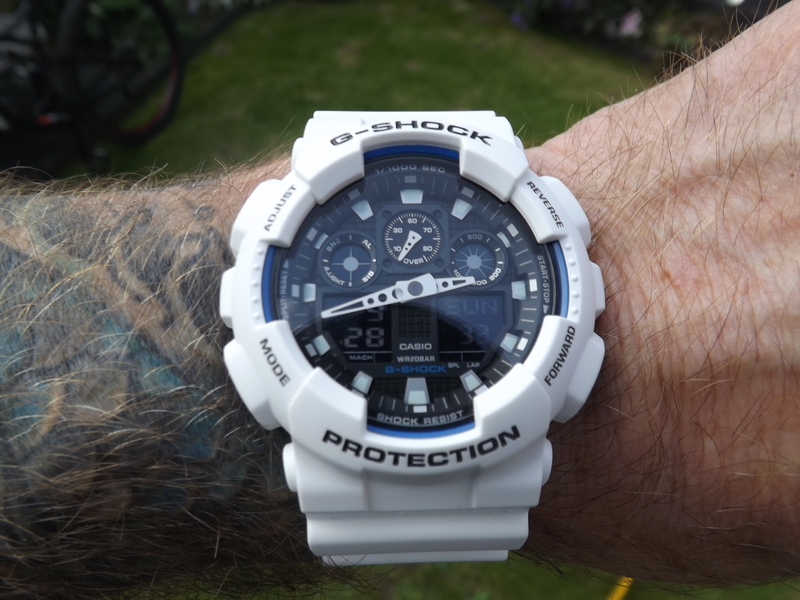 He has admired the G-Shock range for ages and has not been disappointed. A stylish quality watch with good functionality. Does what it says on the tin! Very very happy with my purchase. Recently purchased a GA-100B-7AER which was delivered next day to my delight. Upon opening the courier packaging i found a very well presented black tin with the Casio logo and markings which is now displayed on my shelf, inside was the well packaged product with protective foam covering the watch which i presume is to prevent from damage. The watch was in perfect condition and was already set to the correct time. I am very well pleased with how the watch was present and the watch face itself. One thing im not so keen on being a person of smaller size is the wrist strap, this appears to be a little to large but im sure there is interchangable straps available online which i may change. Really happy with the watch shop and Im sure my boyfriend will love his watch on Christmas Day. 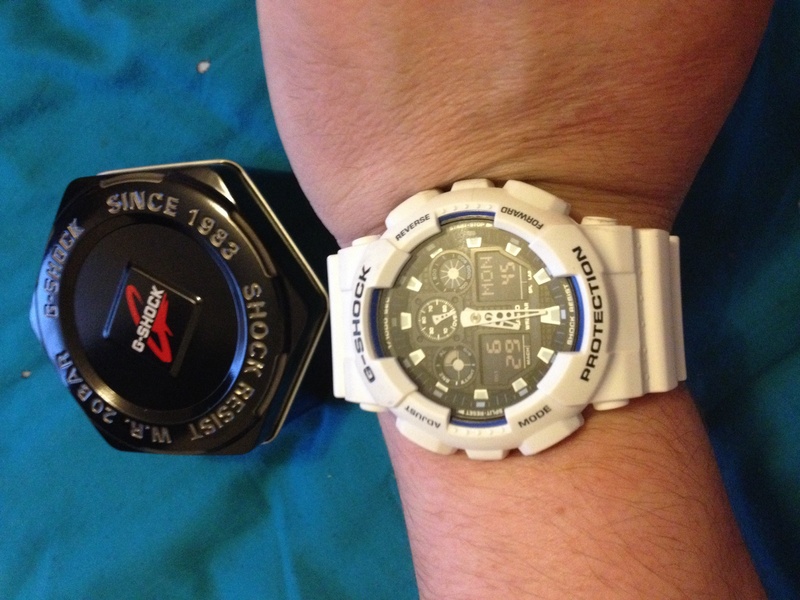 After recently receiving the casio g shock watch as a gift I can honestly say I love it. I had it in white and love how comfortable it is to wear. I personally think its well priced too. Love this watch, arrived quickly and was well packaged. The watch arrived very fast and the packagong was brilliant. The watch was secure and just what was wanted. This was the first time we used the service but not the last. 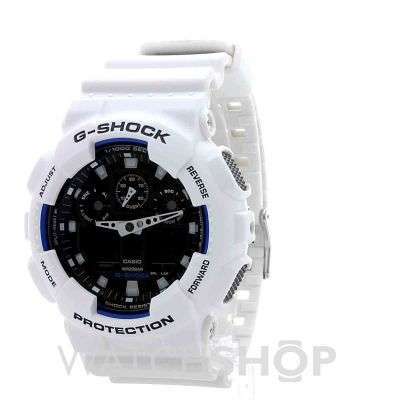 This Casio G-Shock is very stylish and comfy to wear. Also it has a natural feel on your wrist and does not feel uncomfortable after a while of wearing. 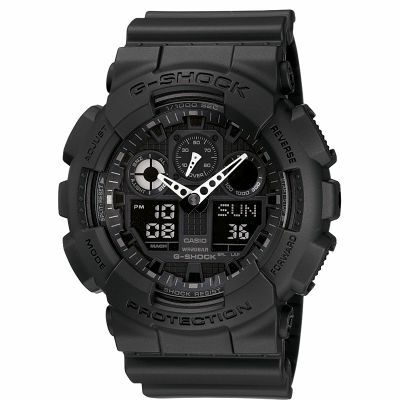 I would rate this Casio G-Shock highly due to stylishness and compatibility of the watch. It also has an iconic presence as well as all the points Ive stated. Good watch and exceptional value. I am pleased with this purchase. The watch has many features and is easy to set up. Looks chunky but is light and comfortable to wear. Highly recommended. This is my third purchase from WatchShop and once again, happy with the product, delivery, service. My son loves his birthday present - job done! Thanks. 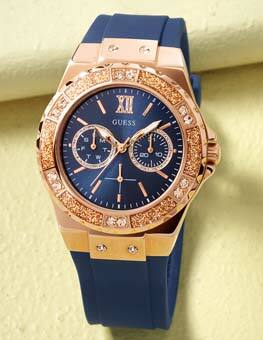 Ill start off by saying that I fell in love with this watch the moment I saw it. Its very slick, cool and stylish definitely 10/10 would recommend to anyone with good taste. I also like how easy it is to sync the correct time on the watch and not a pain like others. The colour is also a nice touch in my opinion white accessories are the best ones. 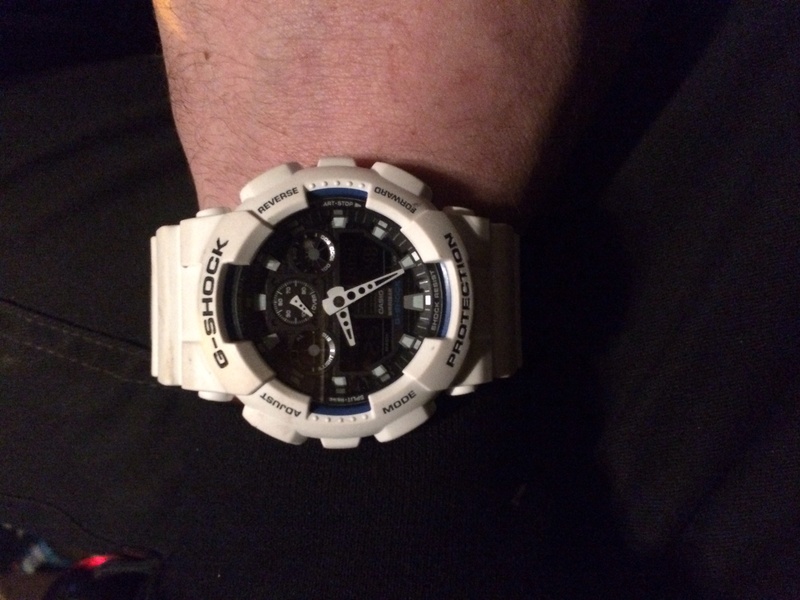 After this purchase it absolutely wont be my last as G-Shock is now my favourite brand of watches. Watch looks great but instructions to small and complicated. Went on You Tube to find out how to change time, alarms. 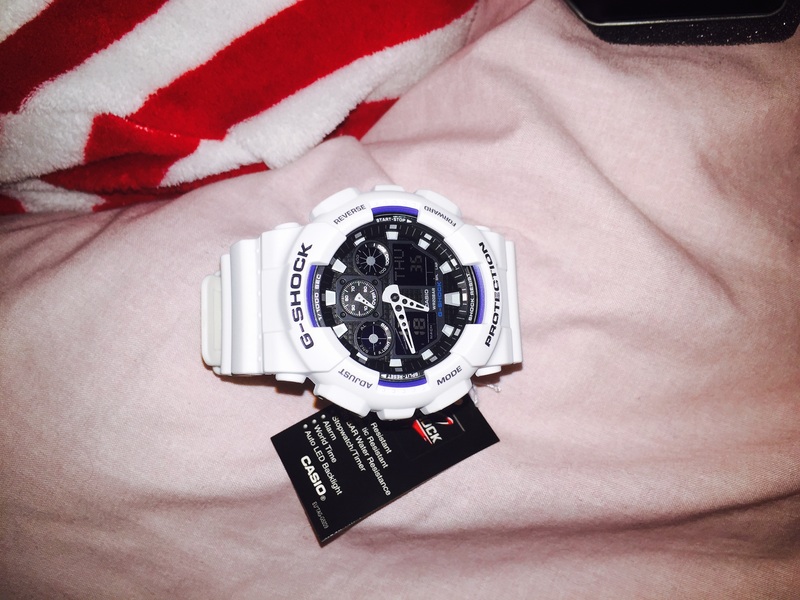 I bought this G-Shock to replace my old one and im really happy as G-Shock always is a good option. 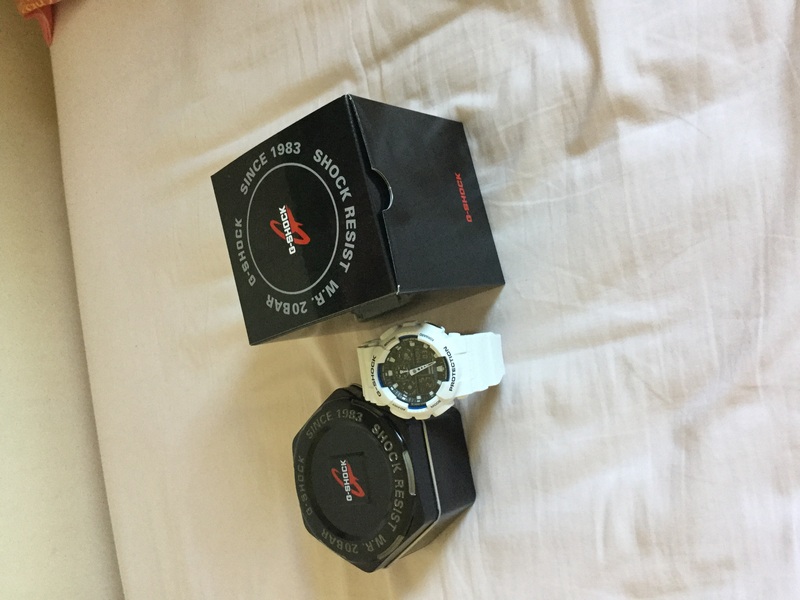 The delivery was very quickly and im really happy with Watchshop! Excellent service all round.fab watch love it. I bought this as a summer/fashion watch. Its great with a T shirt and very sporty looking, the build quality is excellent and the bright light is useful in the middle of the night. Really easy to set up and time sets automatically when you select the world time zone. Very happy with purchase and highly recommended. The watch was also delivered next day, superb first class service from watchshop thanks! The service I got from watchshop was great. And I absolutely love my new watch. If youre thinking of getting one of these just buy it. Great price too. Excellent watch! Functional, looking perfect on mine hand! Im not so pleased that I choosed the white colour. its getting durty to quickly. Professional delivery! Lovely looking watch - bought for my partner as hes in to Star Wars and I thought the colours looked like R2D2! Fantastic watch, good value for price & looks good on my wrist. -The watch looks great and robust & looks like it can take a knock or two great for playing sports! -It is very comfortable and feels nice & light to wear! -This watch has a very good waterproof rating so its good to go swimming in or in the shower! -The light is so dim it doesnt light up the digital display! It would had been better to have a backlight so all of the display was illuminated. -The Alarm is a joke! It is so quiet and short you can not hear it even when i was the only person in the room making NO noise! It will not grab your attention if you was near a road! 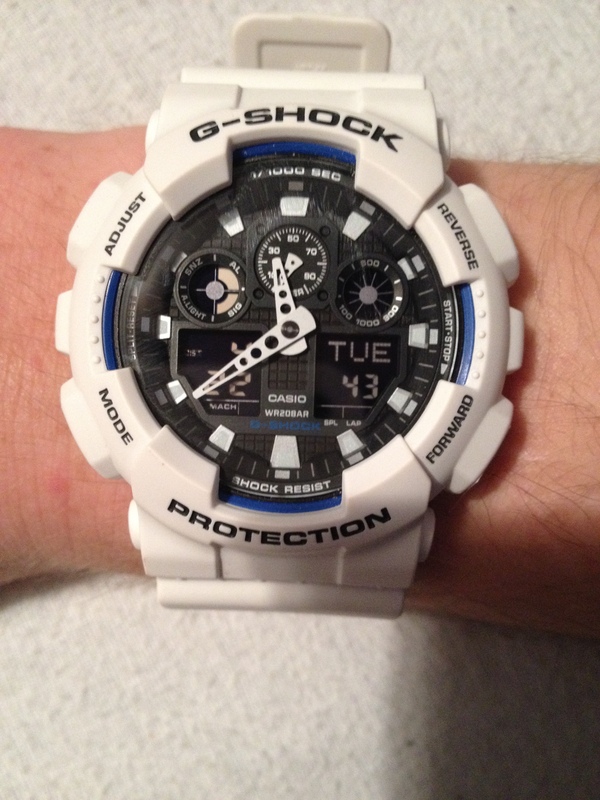 I have owned two G-SHOCK watches in the past and i can say this is the worst one ive had!! I sent it back the same day i received it in the post! It arrived really quickly as stated and was the perfect present for my fiance. Love the watch. Considering the size of the watch face it fits really well. Used to buying black watches but really like it in white. Really easy to use and set up. An excellent watch, I needed a large clear display and this watch is perfect. I did struggle to read and follow some of the time setting instructions but went on to you tube and watched a very short video....It was easy as could be. Nice and chunky but lightweight and I would recommend it to others. This watch is fab does far more than I expected it to. The watch is excellent. I am happy with the way the watch looks and all the functions the watch has to offer. The ease of operation too. Great watch , awesome colour , I cant say anything bad about this watch, just great ! Excellent product, love it,perfect colour and very useful ,I bought this as a birth day present. Bought the watch for myself and it is my third watch from watch shop.Very pleased with products I have purchased . Cant fault service from start to delivery I recommend Watch shop. Watch is exactly how it looks, wears comfy on the wrist and is simple to use. I love it. Not used yet, but had it out of the box to check it. Looks really nice well packaged. Looks a lot better in person than in the photos I must say! The White colour looks really nice, I was surprised as I didnt think I would like it. Dont know much about the usage of the watch other than who its for already has one in another colour and loves it that much he wants another one. The product is too expected standards. It tells me the time. It is white and blue. It has a stopwatch on it. I bought this watch as robust replacement for my day to day watch. I work as a land surveyor always up and down banks and in and out of bushes etc so need a watch that can stand up to it, as this delivers perfectly. Clear easy to read date and time. Cant fault it. Exactly the same has the discription says received the watch the following morning I recommend this site to everyone excellent service from start to finish. Amazing watch - had an earlier/similar model that lasted years but this is far better technologically, and in looks. nothing to dislike! Excellent watch for what I require it for work/sports. Watch is lighter than it looks. I opted for white which I was slightly unsure about but even after its been covered in dirt but after wearing it in shower it comes back up like new. I also banged it the other day but due to the proud design the glass didnt come into contact and the watch was fine, this separates the gshock watches from other designs as if it was another watch it would most certainly of broke the screen. The watch is also very comfortable and light weight, it has a big strap and loads of holes so is ideal for any wrist for small to very large. It has an orange light which makes the hands easy to see in poor light. My only negative comment is that the digital screen doesnt illuminate and that is impossible to see in the dark. It also has a handy function that you can switch on/off where it illuminates when you tilt the watch back . I turned this off as I would imagine it would use the battery quicker. Its not the easiest of watches to set up but I got there in the end. It also sets the correct time for your zone which is handy . The watch also looks great. Overall I would highly reccommend it. Cannot really recommend this watch, it is not neat or attractive and trying to set the multiple functions is a nightmare. After finally getting it to tell the right time I am afraid to touch it again as it will probably go haywire again. Looks like I will only wear it in the winter as the thought of trying to set it to BST is daunting. It was bought for me as a gift, its not something I would ever choose for myself. This watch might be fine for 12 year old geeks but not for me. Product look as good as the picture. It is bright and sturdy and will get lots of use. Great array of functions but in some lights the dials are dark. Great product, got it in white. Good solid G Shock Ive come accustomed too. 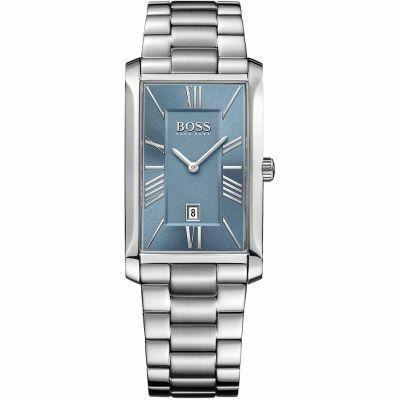 Its quite large, which I like but may not be suitable for women looking for a smaller watch. 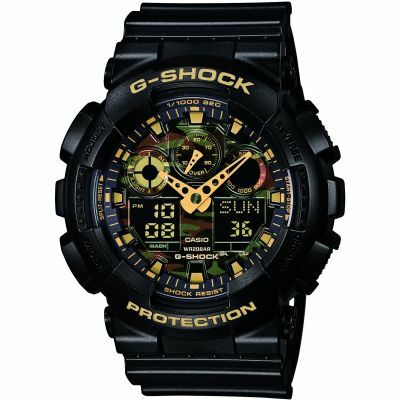 I love this watch and have other Casio G Shock watches. 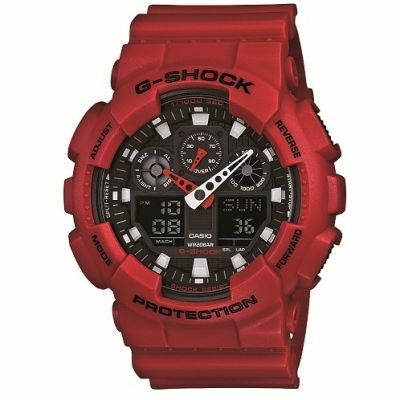 I went for this one as I wanted a white G Shock with an over-sized face. Lots of functions - alarm, stop watch, different time zones, day, month and date etc. the watch seemed to set itself as soon as Id set it to the correct time zone. You wont be disappointed by this sat has it look fantastic and has great functionality. The only problem with the watch is the timing its one or to minutes early. But appart from that Im very with the product the style and colour are really good and the features are brilliant. Nice sturdy watch for my son as he wanted one for Christmas. He loves the look and features and wears it everyday. Was extremely pleased with this product, just what I imagined and more. Well made and packaged. 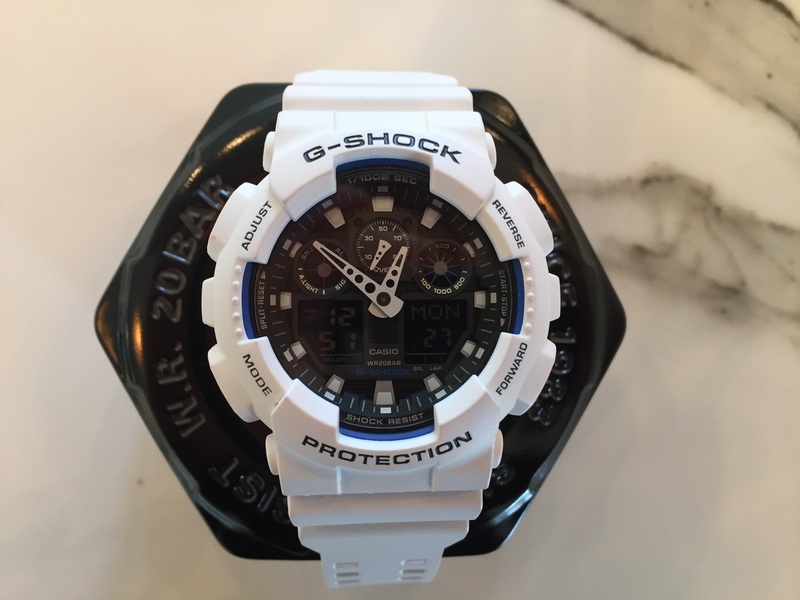 I chose this white Casio G-Shock for its rugged good looks,substantial size and its reputation for being a reliable,robust and reasonably priced watch. Its extremely sturdy,stylish and very comfortable to wear with its double-buckle strap. Whilst the digital time display is not too easy to see,the bold white hands stand out clearly against the black watch face making it simple to tell the time at-a-glance! Additional features such as stopwatch,alarms and international time display all add to the quality and value of this exceptional watch. Im very satisfied and delighted with my purchase, a great watch which comes highly recommended from me! I order this watch online and collect from the store. Watch looks more than perfect in real ❤️ I bought it for my friend and he loved it. 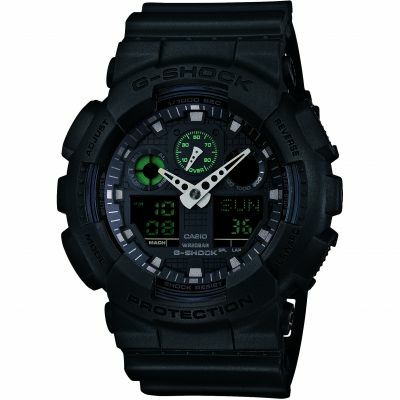 Good price thanks to watch shop. Very good quality, excellent value for money. Dials are easy to read, features, especially the alarms and automatic time setting are fabulously. Its easy to wear, lightweight yet sturdy and has a very comfortable strap. 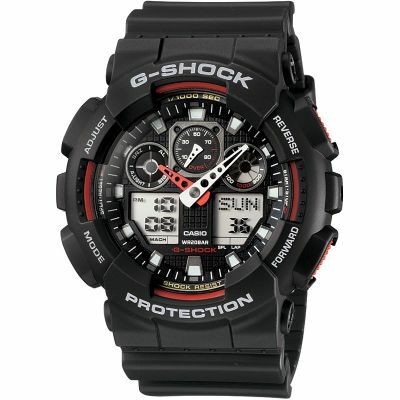 Mens casio g-shock alarm chronograph watch. The watch I brought was for my boyfriend for Christmas, it was a white watch. It was delivered in a day and it is beautifully wrapped. I would recommend the watch shop to anybody its a fantastic site with amazing prices! I bought this watch for my sons 14th nixtper birthday. He loved it! Its very stylish & on trend especially in the white. It is a bit tricky setting the time & date, however, so please I purchased this watch, I would definitely recommend it. The product i got look alot better then it did in the photo i like that the picture made the watch look bigger then it was because that was the only thing I was worried about is the watch being bigger then I thought so take that into account when buying this watch the colour has made the watch look better in my opinion as you can really see all the features stand out as the colours dont put you off. Quality product and £40 saving from High Street stores - delivered in 2 days. Tremendous service. Great watch, looks great can get away with wearing it for work on a construction site and still look great in the pub. 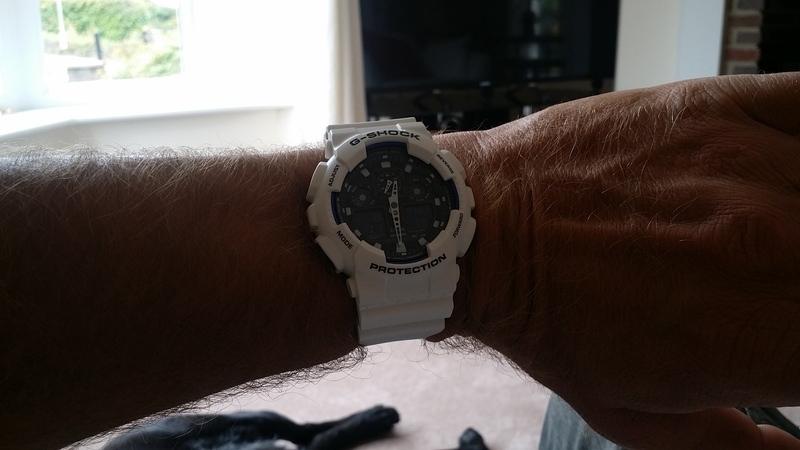 Ive have had a few g shocks and they live up to there name. Only brought this one as I lost my old one. 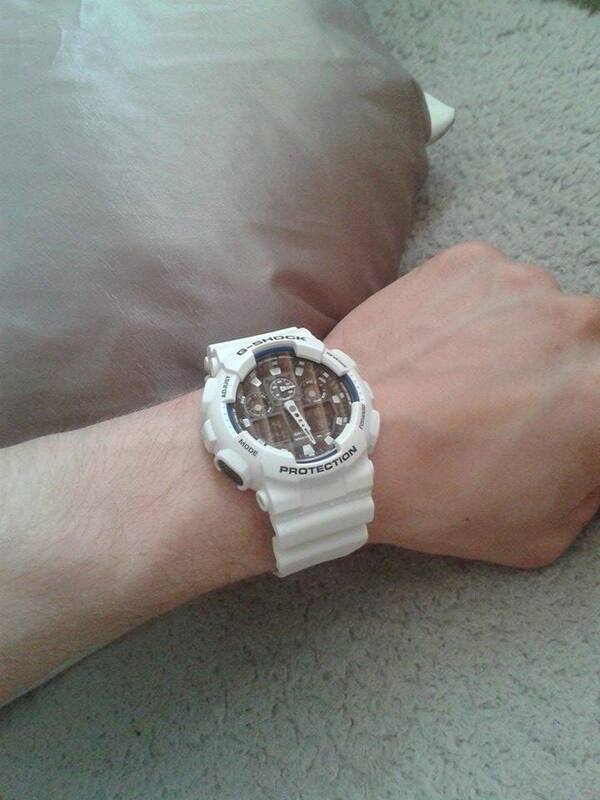 Go And Buy Yourself A White G Shock. 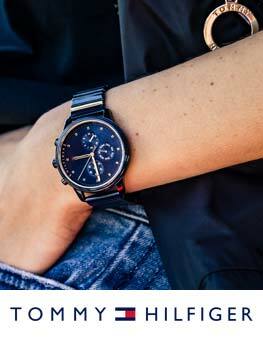 Not Only Can The Watch Withstand Anything, But They ARe Uber Stylish ! Great quality watch, looks great. The only issue was with the instructions being unclear, when setting up the watch but a quick look on the internet solved that problem. This was a present for a man with failing eye sight. The large face, hands and digital display were the reason for the purchase, the white hands on the black background ensure my father in law will be able to see it for many years to come. Arrived on time - packaging excellent. Excellent service. Delivered next day as advertised. Plenty of options to choose from. I bought this watch for my sons birthday.He is absolutely delighted with it.The strap makes it easy to adjust and it looks great.The only negative is we are having difficulty setting the time on the large clock face. 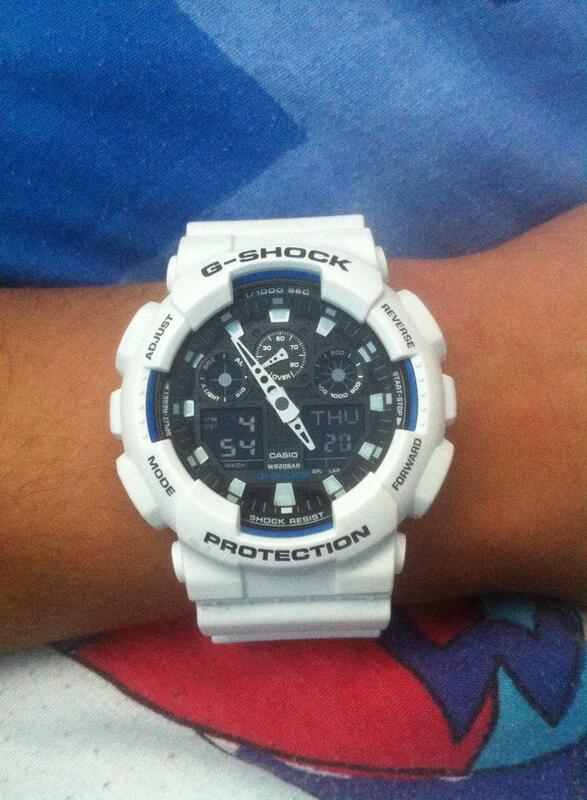 This is my second G-Shock watch, the best so far. This watch really is a great buy! Easy to set up, simple to use and a stunning watch in its own right. The design overall is sturdy and durable as expected..however the white paint turns slightly less pristine quickly and is easily chipped by bumps and falls which is disappointing. In conclusion this watch is easily worth the money. It looks great and Has lots of functions such as a stopwatch, alarms and world times.Just be prepared to take care of it well and expect the white colored versions to become less attractive over time. Visible analogue dial. Does not tick. Feels good on the wrist. Secure strap. Buttons recessed, so they do not catch in rucsac straps. Very stylish watch.Second model that I have.First one never let me down each time I go snorkelling as well as from normal use. Positives: Great item from Casio with lots of features. Chunky looking robust watch that sits perfectly on the average male wrist without looking too big or cumbersome. Great watch, all functions work. Colour stands out white. Watch face size is slightly large but that maybe my wrist is small! Brilliant watch. Looks good and doesnt look cheap or too big. I have both white and red and both are good looking watches. Would definitely recommend to fellow watch buyers! - The oversized chunky design looks good, especially on larger wrists, but wouldnt look too big if you have slightly smaller wrists. - Being waterproof and shockproof means I can wear it whenever and whatever im doing without having to worry about whether it will withstand the challenge. - The hands make it easy to view the time at a glance, and the digital readout gives more info day, date, world time etc. - Has more than enough functions for everyday and sports use timer, stopwatch, chronograph and the large buttons make it easy to use, but also its difficult for them to be pressed accidentally. - The light is more than sufficient for most requirements, and the duration can be altered, as can a function which allows the light to come on at the turn of your wrist which is pretty cool. - The bright white design looks really cool and makes a bold statement, especially on a tanned arm. - Overall a great looking and functional watch, well worth the money. I bought the watch because I am a serious watch fiend, and already have around 7 including an older, smaller, fully digital, G-Shock watch. 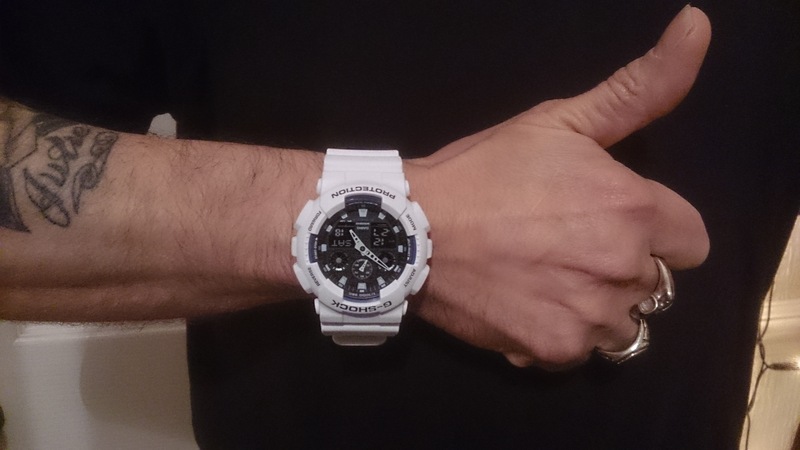 I have always liked the bigger G-Shock styling, and this version epitomises the brands intention. the case is big, both in terms of diameter and depth. the thickness of the strap and the double buckle both look and work superbly well the buckle pins are joined with a horizontal bar, preventing any fiddly closure issues. Moving onto the face, the drilled analogue hands add to the technical look of the watch. The contrasting bright blue and dark face against the white case and strap, make this the pick of the range in my opinion and work superbly well together, but it does raise the first small issue. The dark face can sometimes make the digital elements of the watch difficult to see. In addition, the dual digital screens are often obscured by the analogue hands and whilst this isnt a massive issue the majority of the time, you just need to plan any time, date, or alarm setting activities as if you pick the wrong time to do it, you cant really see the screens. Sounds obvious but caught me out twice. Overall this is a fantastic addition to my little collection and i have barely had it off since I bought it i only stopped wearing it for work, because my shirt sleeves would not fit over it. A great watch and I am very very happy with it. Beautiful watch, great customer care,amazing buying process, what more can a customer ask for, thank you watchshop. item was brought for my son who is very pleased with the item.the white finish is outstanding and goes well with the sporty look. i bought this watch for my husband. he likes it very much. The watch is exactly same as i see from computer. And their service is very good, i order it in the afternoon, and I got it in the secondary day. I am very happy. Really pleased with this watch looks great on me and has some really good features, the can be a bit hard to see but you can get pass that as its a very strong watch and good looking watch, well recommend. I bought the watch for my son, he absolutely loves it and so did i when I received and checked it before wrapping, so nice I contemplated not giving it to him!!! Think I will be ordering myself one soon. I just wish that Watch Shop didnt use Royal Mail, as I didnt get back before the delivery time and they refused to leave it with my next door neighbour which meant my son didnt actually get it his birthday. Pretty sure any other sensible courier would have used common sense. And all round awesome watch. Comes with original box and guarantee to! 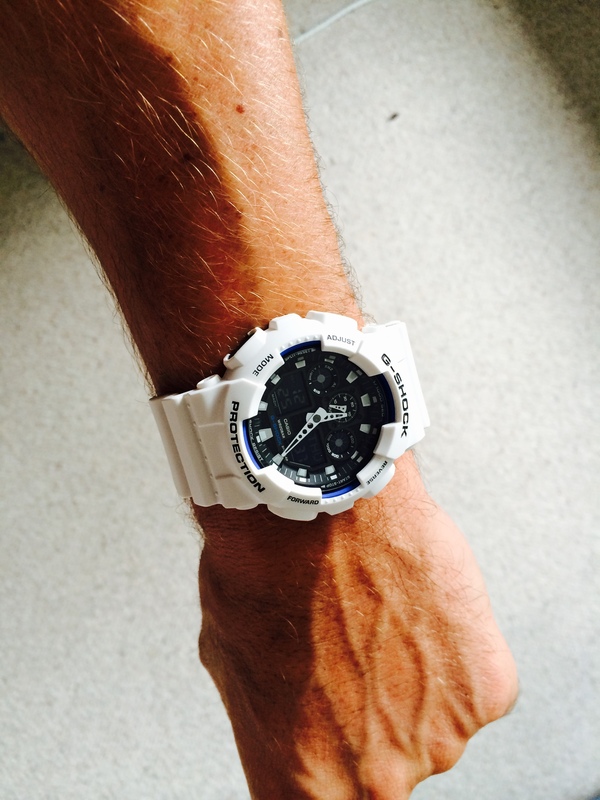 I had a g shock years ago still have it as it happens. This new one is lovely looks good and fits very well. I am pretty sure its really a watch for a man, i am a girl and quite a small person but it has a good wristband that goes quite small so no problem Its a good modern design and up to date style wise nice and chunkey. 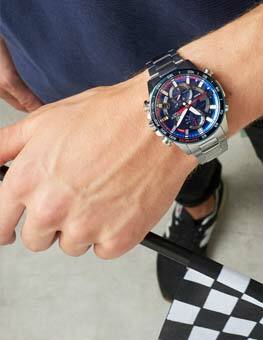 I have been looking for a casual watch to wear with Tracksuits etc but one that doesnt look cheap and tacky!!! 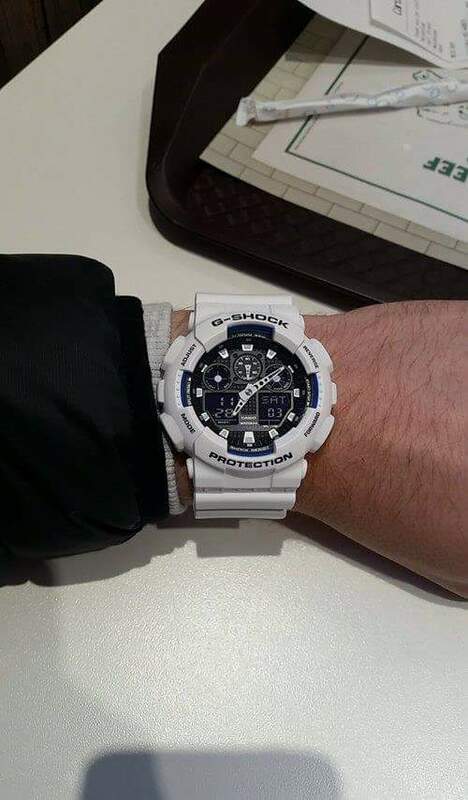 I love the fit and style of this watch and being white it really stands out. I found it quite difficult to set the time and date etc compared to other watches but other than that I love it. Bought for my son, who loves it! Very stylish design, nice features and tells the time pretty well too! Excellent. Got it when they said I would receive it. Good quality product. Very happy with the service. Well done watch shop. I have the white version of this watch. Btw Im a 17 y/o student. Overall I am pleased with this watch, and would have another G Shock, however, Im not counting on this one breaking any time soon touch wood . fast delivery,good communication,recommended,great watch for the price ,it was the cheapest price from watchshop,.would buy from them again. Love my watch. Good quality. The colour is great and the style very modern. Looked on several sites for this type of design and colour and was really pleased to get this from your site and at a fabulous price. Will definitely buy from the Watch Shop again and have also told my friends and family to check our your web site. This was a gift for my son and he was very pleased with it. It fitted him well and was comfortable to wear.